IQS Directory provides a detailed list of water barrel manufacturers and suppliers. Find water barrel companies that can design, engineer, and manufacture water barrels to your specifications. Peruse our website to review and discover top water barrel manufacturers with roll over ads and complete product descriptions. Connect with the water barrel companies through our hassle-free and efficient request for quote form. You are provided company profiles, website links, locations, phone numbers, product videos, and product information. Read reviews and stay informed with product new articles. 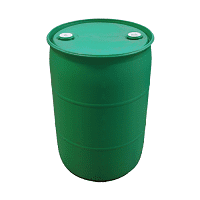 Whether you are looking for manufacturers of 55 gallon water barrels, plastic water barrels, and used water barrels of every type, IQS is the premier source for you. Guaranteed to be dependable and top performance, we have water drums that are available in various diameters, heights and capacities. Our products are clean, best for high-quality assurance and ensure economically safe delivery of valuable products. Our company offers the best drums at the right price. Contact us for more information. "If it’s containers, we have them and will ship them anywhere," is Container Distributors Inc’s motto. Offering water barrels in various heights and sizes, every customer has a choice of colors available upon request. Our shipments are generally sent within 24 hours from our well-stocked warehouse. Explore our website, select, then speak with any of our sales staff for your container needs. Drums or barrels are one of the oldest types of containers. They were originally made by a cooper out of wood. These containers held food, liquor, wine, water, parts and various other materials. Jakacki Bag & Barrel, Inc. sells reconditioned and new fiber, plastic and steel drums in all sizes and types. For more information please visit our website or call us! For over 100 years, Illing Company has been recognized as a leader in the container distribution industry. Illing’s mission is to deliver the right product at the right time to satisfy our customers’ requirements. It is our belief that in maintaining a vast inventory of packaging solutions, we can immediately respond to our customers’ requirements. You can count on us for all of your container requirements. Our company offers a wide variety of drums. 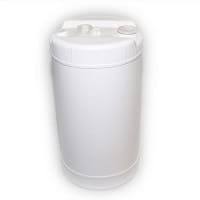 Our water barrels come in various capacities and mass types. Most of our products can be delivered within 7-10 days of order from our warehouse. Get in touch with us today. We look forward to hearing from you. We are a quality manufacturer of Carbon Steel Drums and a reconditioner of Intermediate Bulk Containers, Poly Drums and Steel Drums. We are a customer-driven company that focuses on quality, value and service, while leading in safety and sustainability. To learn more about Myers Container and what we do, call or visit our website today! Water barrels collect and store water through ductwork that is fixed to the roofs of buildings such as manufacturing facilities and warehouses. Water barrels are most often used as rain barrels, which are specifically for collecting and storing rain water runoff. Of all the materials used for water barrel construction, plastics such as high density polyethylene (HDPE), low density polyethylene (LDPE) and polypropylene are the most common; however, metals such as stainless steel may also be used in instances in which the water has not been and will not be treated with chlorine as it is highly corrosive to most metals. The most popular plastic choice, polyethylenes do have a downside as they are somewhat permeable to hydrocarbon vapors and should be kept away from stored gasoline, kerosene and similar substances. HDPE, however, offers a distinct benefit in that it is a FDA-approved material. Proper water storage is incredibly important for many industries including: sports and recreation, for applications such as hiking, climbing and other cardio-related activities; beverage, for water bottling applications, especially if water is collected from natural sources; agricultural and gardening, for use in irrigation applications; and wastewater, for use in storage of potentially hazardous tainted water. As water barrels are most often plastic, then they are generally going to be formed through an injection blow molding process (metal would be formed through rotational molding or similar processes). The injection blow molding process is a combination of injection molding and blow molding. To begin injection blow molding, a parison is formed when a thermoplastic preform is heated to a molten state and then injected around a hollow mandrel, referred to as a blow stem. Once semi-cured, the newly formed parison is soft and formable. Still around the stem, the parison is then placed into the blow molding chamber. Next, the steel blow stem is extended, forcing elongation of the plastic to the desired barrel size, typically 55 gallon drum, and also enhancing the tensile strength of the barrel. Then, the hollow blow stem is used to inject compressed air into the parison, causing the near-molten plastic to inflate like a balloon. The inflation results in compression against the walls of the mold cavity, forcing the barrel to take shape. After cooling and hardening, the mold ejects the newly formed water barrel is ejected. Immediately, the water barrel exhibits a seamless design and does not require further trimming. As injection blow molding machines use multiple mandrels, they may be used to form a maximum of 12 water barrels at once. Water Barrel – Rahway Steel Drum Company, Inc.